During the Bilgewater: Burning Tides event, Gangplank was brought down by the machinations of the bounty hunter Miss Fortune. His ship was destroyed with all of Bilgewater watching, killing his crew and shattering his aura of invincibility. Now the gangs of Bilgewater have risen up, fighting amongst themselves to claim dominion over the port city. Despite receiving horrific injuries in the explosion, Gangplank survived. Sporting a multitude of fresh scars, and with a newly crafted metal arm to replace his amputated limb, he is now determined to rebuild his strength, reclaim what he sees as rightfully his, and ruthlessly punish all of those who turned against him. The dethroned reaver king known as Gangplank is feared far and wide. Where he goes, death and ruin follow. Every several seconds, Gangplank’s next melee attack ignites the target, dealing bonus true damage over time and granting a brief burst of movement speed. Destroying a Powder Keg instantly refreshes Trial by Fire. 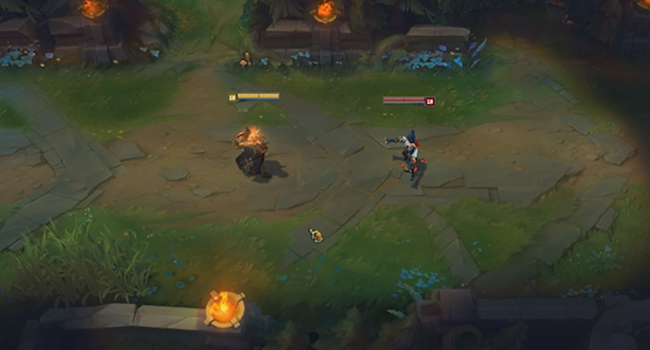 Gangplank fires his pistol at his target, dealing damage and applying on-hit effects. If Parrrley kills a unit, the shot plunders bonus gold and refunds mana. For each Gold plundered, Gangplank gains a Silver Serpent that he can use at the shop to upgrade Cannon Barrage. Gangplank consumes a large quantity of citrus fruit, curing all disabling effects and healing him based on his missing health. Places a powder keg that can be attacked by Gangplank or his enemies. If Gangplank destroys a keg, it explodes in an AoE blast that slows and spreads the damage of the attack to all nearby enemies. Other casks within the zone will chain explode. If an enemy destroys the cask, it defuses the explosion and grants gold. Signals Gangplank’s ship to fire waves of cannonballs at an area. Each wave deals magic damage and slows enemies. Cannon Barrage can be upgraded up to three times. Death’s Daughter fires an initial mega-cannonball in the center of the area of effect. Raise Morale gives allies within the area of effect additional move speed. Fire at Will increases the rate of fire over the duration of Cannon Barrage. Gangplank might be a murderous malevolent seamaster in Runeterra, but in-game, he’s opportunism in the (salted) flesh. We often reference windows of power, and Gangplank’s updated gameplay heavily rewards him for maximizing his. His passive, Trial by Fire, hits like a warship’s ram in trades, with the true damage DoT capable of chunking meaty portions off his opponent’s health bar. With the accompanying speed burst, he has the potential to stomp in and saunter out of quick duels. 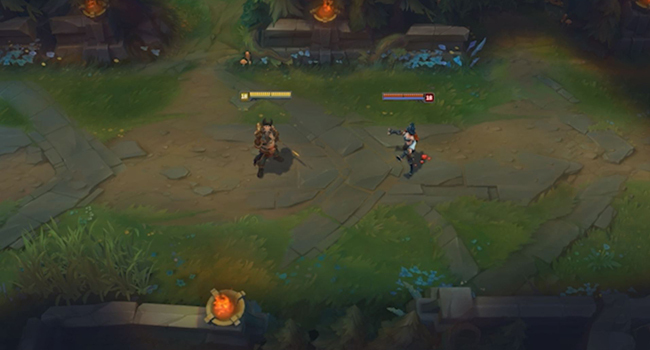 Learning to play the Powder Keg minigame is crucial for both Gangplank and his opponents. He has higher range than other melee fighters, and a ton of potential burst damage with chained gunpowder cask explosions, but the key there is potential. When Gangplank triggers the last hit on his cask, it explodes for substantial AoE damage, but even more significantly, it re-procs his passive. Skilled Gangplank players will set up casks ahead of planned trades and skirmishes to maximize their burst. But careful counterplay will allow opposing champions to defuse the gunpowder cask with a last-hit of their own, denying Gangplank his explosion and sudden fire-stick stabbing. The updates to his gameplay pattern solidify Gangplank’s primary role as a potent split-pusher, as he can contribute meaningfully to a teamfight from across the map without needing to use a summoner spell to join the fray. When split-pushing, GP needs to be mindful of his surroundings, even more than someone like Shen or Tryndamere, who have built-in dashes or spins that can put a solid wall between them and their pursuers. While Remove Scurvy keeps him relatively safe from individual crowd control, he won’t outrun most gap-closing enemies without using his ult unless he steals an opportunistic passive proc. In situations where split-pushing is weak and team-fighting the strongest option, Gangplank benefits from strategic planning and careful positioning of his Powder Kegs. In many cases, Remove Scurvy'll let him skirt the frontline and dive the squishies with a crit-loaded Parrrley. Depending on his build, Gangplank can tank damage and crowd control with Remove Scurvy, or look to pelt opponents with Parrrley crits and powerful melee damage. Depending on his build, Gangplank can tank damage and crowd control with his W, or look to pelt opponents with Parrrley crits and powerful sustained melee DPS. By using the Silver Serpents he earns with Parrrley, he can upgrade Cannon Barrage. 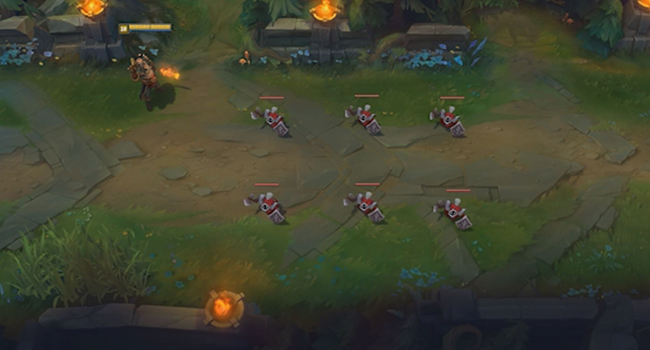 Depending on which upgrades you choose, GP can help his friends make their escape, attempt to zone apart the enemy team, or concentrate fire on an unprotected target. Because the upgrades stack, you can even do all three over the course of a long enough game. Although already entertaining to play, Gangplank's gameplay lacked a deep mastery curve and interesting counterplay for his opponents. Outside of slight optimizations such as Parrrley farming, Remove Scurvy timing, or Cannon Barrage placement, Gangplank never really had a unique tool he could invest in mastering over time. When we thought about new toys we could give Gangplank, we focused on the most fun moments Gangplank was already having. One topic came up over and over again: buying items like Statikk Shiv or Ravenous Hydra and being able to Plunder several enemies with a single Parrrley. With this update, we added explosive barrels to Gangplank's arsenal so he can do just that and more. There's nothing like setting up a chain of barrels to utterly decimate unsuspecting enemies. There’s nothing like setting up a chain of barrels to utterly decimate unsuspecting enemies. Whenever we add a new mechanic to the game, we strive to make it just as fun and interesting for opponents as it is for the champion using it. As sly and clever as Gangplank can be with these explosive barrels, we wanted to ensure that enemies could also interact with them and potentially outplay Gangplank at his own game. 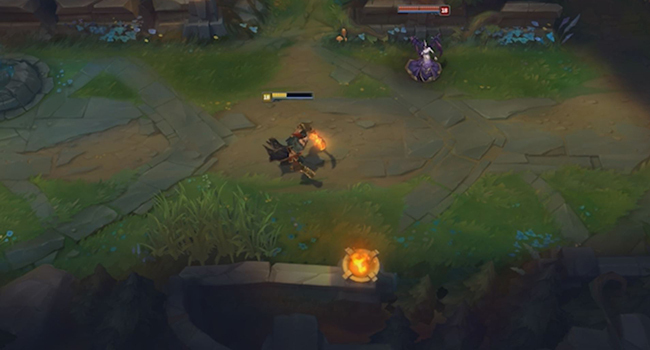 Whenever Gangplank places an explosive barrel, enemies also have the opportunity to attack it in order to defuse it - it's a race to the finish to see who gets the final hit which can end in an explosive finale or a sputtering dud. 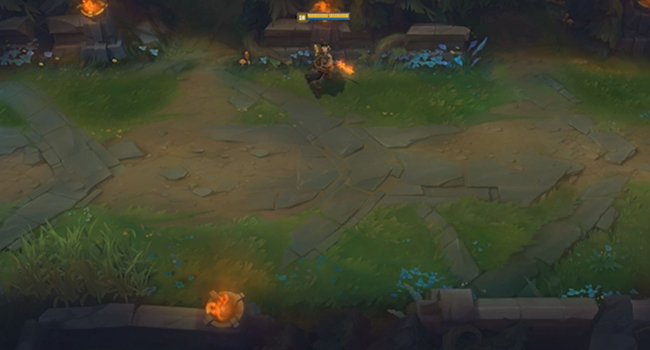 Overall, Gangplank will retain a lot of the classic things we have all come to know and love, but with the addition of some new upgrades--quite literally as he'll be able to upgrade his Cannon Barrage--Gangplank will be just as menacing as ever. 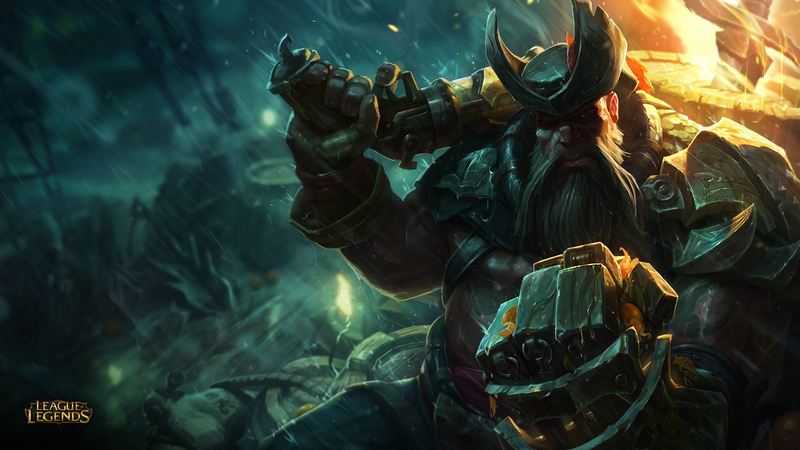 Dive into the deadly currents of Bilgewater and set sail with Gangplank, the Saltwater Scourge! Also, head over to the gameplay and balance boards if you'd like to hear more about what the champion update team is working on these days.